Camel coat: Vintage. Jumper: eBay. Jeans: New Look Petite. Boots: Irregular Choice. 'Well now then marry bum, I see your face and it's like looking down the barrel of a gun'. I clearly don't look like a happy chappy in these photos, but I'm still new to the posing game, so please bare with me. My love for all things camel will never die. Whenever i'm in a shop (technically my second home), I seem to immediately gravitate towards this colour. This lovely coat was an absolute steal for £6.. Bargain! 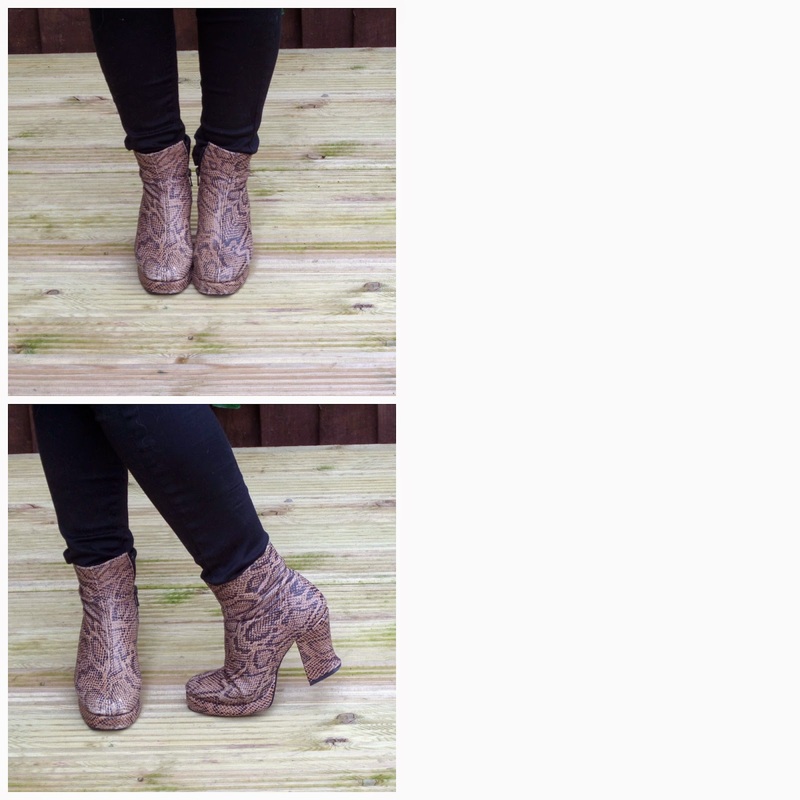 I have also been lusting after various snake print boots such as these, these and of course these. But then I remembered these gorgeous snake print boots hiding at the back of my wardrobe.. Sorted! Love this look - the coats amazing! So cute!! Those shoes are gorgeous! I love how simple but lovely this outfit is, the shoes are amazing! I've always wanted a camel coat, yours is so cute and I love that it's vintage. Awesome look! Nice look! Love the boots.